According to the study, ‘THE BABY FOOD SECTOR IN JAPAN, 2018’, the baby food market in the country continued to grow in 2017 which was mainly due to the strong sales of prepared baby food and milk formula even though the number of new born babies continued to decline. The country’s growth is the main contributor that has led to a busier lifestyle for working people and with more females getting employed, the sales of milk formula and prepared baby food went up considerably. Japan is one of the most developed nations in the world. However, the population demographics raise concern for the country when it comes to birth rates which have been low since the 1970s. Despite a strong economy, 2017 hit the country hard as the number of Japanese children born during the year was reported to be less than a million, the lowest since reporting began thereby deepening the demographic crunch. Alternately, the population decline was the highest in the nation’s history, equivalent to a city the size of Minneapolis, Bristol or Toulouse. 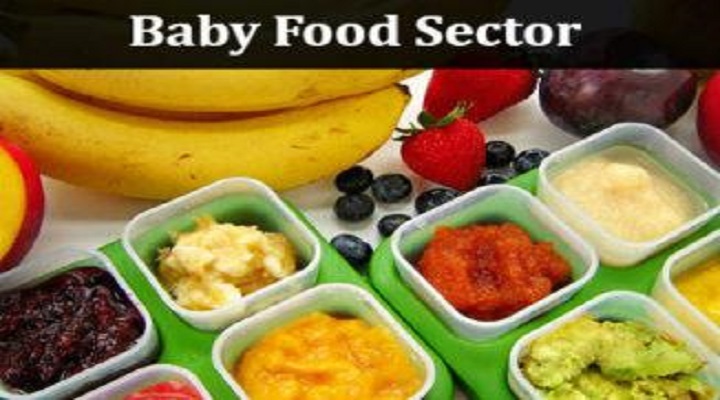 Many companies have realized the immense potential in the baby food sector. Kewpie is best known for its jar baby food which is intended for babies at least five months of age. Kewpie baby food is also available in sealed pouches and plastic cup containers which have been designed in such a way that it is easy to carry them around. Another special feature of the company is that Kewpie products do not contain any of the seven main allergy causing ingredients such as egg, wheat, milk and peanuts just to name a few. Wakodo is famous for its Wakodo bento boxes. The company is also known to make frozen dried cubes of baby food. Despite such innovative products offered by such companies, Meiji remained the leading player in the Japanese baby food market in 2017 with a value share of nearly one-third, even after the company’s withdrawal from baby food businesses other than milk formula. The company has a significant presence in milk formula as the leading player with a retail value share of nearly half the total in 2017. The company also leads in innovation in milk formula. It had launched a unique compressed powder milk formula HohoemiRaku-Raku Cube in 2007. The company upgraded its development by adding arachidonic acid in 2012 and after this, the world’s first cube type milk formula was well received by the busy parents in Japan due to the convenience of no measuring when serving. The increasing popularity of this product was also supported by the negative aspects of milk formula in powder format, the dominant milk type formula in Japan. Baby food in Japan is expected to register positive growth for the next few years though, at a small growth rate, in the presence of a declining number of new born babies. As more mothers work after giving birth, it is safe to conclude that modern parents in Japan are constantly seeking to save time and effort feeding their babies. If current trends continue then the population is said to be reduced to a few tens of millions by 2115 and by 2045 the country will be losing a little less than a million residents each year.